The Barbarians Rugby Charitable Trust has made a significant grant to the My Name’5 Doddie Foundation. 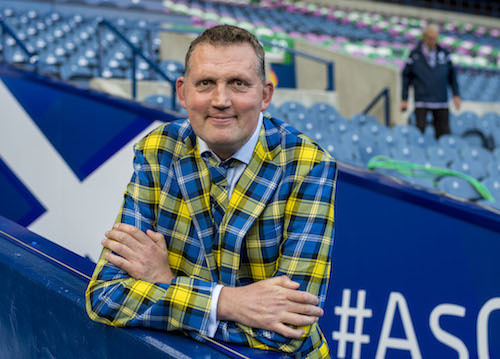 A contribution of £10,000 has been donated to the charity launched by Doddie Weir to raise funds for research into Motor Neurone Disease and help those suffering from the disease. Weir, a former player for the Barbarians club, was diagnosed with MND in 2017 and the foundation that bears his name has now raised more than £1million. “Doddie Weir played for the Barbarians club on a number of occasions and is held in high regard by so many around the world,” said Gavin Hastings, the former Scotland captain and a trustee of the Barbarians Rugby Charitable Trust. A mainstay of Scotland’s forward pack in the 1990s, Weir won 61 international caps and played for Stewarts Melville, Newcastle Falcons, Melrose and the Borders. He appeared for the Barbarians six times, making his debut against Newport in 1992 and captaining the club on his final appearance, a try-scoring one, against the Combined Services in 2002. Last year his name was added to the Barbarians Hall of Fame which honours the leading individuals to have played for the club. The Barbarians Rugby Charitable Trust is led by some of rugby’s foremost former players and administrators in Hastings, John Spencer, Micky Steele-Bodger, Sir Bill Beaumont and Gerald Davies. They aim to support worthy causes and the development of rugby for all ages throughout the world, most recently making grants of £10,000 to the Women’s Sport Trust to support the promotion and development of sport for women and girls, and to the Atlas Foundation to assist their work in Argentina with underprivileged children. Other recent grants have been made to provinces and unions in Georgia, Germany, Portugal, Slovenia, Spain, Belgium and Tunisia. Donations have also been made to progress youth development in Africa, to disaster relief appeals in Italy and Fiji, and in promoting mixed ability rugby. Nearer home, donations have been made to injured players' charities in England, Scotland, Wales, Ireland and Italy, and the Trust also supports Services' rugby with donations to the Royal British Legion and Help for Heroes.